Accompanied viewings & guaranteed feedback within 24 hours! We are able to provide a wealth of advice when asked to value and market your property. This does not just mean setting the selling price but also includes advice on when to sell, how to present and prepare your home, producing a high impact, comprehensive and attractive brochure, where to advertise and whether to have an ‘open house’ and when to actually start viewings. Addison Giles know that the successful letting of your property depends on attracting the right tenant at the best possible rent with the least stress for you as a landlord - that is what we do! Our professional team, are recognized as leading experts in rental properties – providing a highly professional service for landlords. 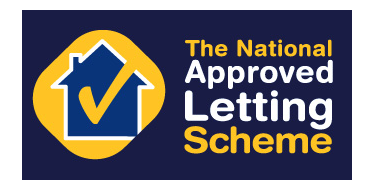 We are members of professional bodies, The Property Ombudsman ( TPO ), Safe Agent ( SAFE), The National Approved Letting Scheme ( NALS ) and the Tenancy Deposit Scheme ( TDS ). If you are buying, selling, re-mortgaging or just after some initial advice, we can recommend you to our independent advisors who can offer you a range of mortgage products. They will be able to offer mortgage rates not always available on the high street and their experience and knowledge of these products will ensure you get the best rate.